Come to the booth of our local partner PAS at Digital Mines to see how hyperspectral imaging and LiDAR will help bring fully autonomous mining to reality. From mineral exploration and valuation, through mining, ore processing and production, to satellite remote control and sensing, digitalization is blurring traditional industry lines and challenging the business models of the past. Make an appointment to find out more. When: Main Conference, April 10 - 11, 2019 and Post-Conference Site Tour, April 12, 2019. 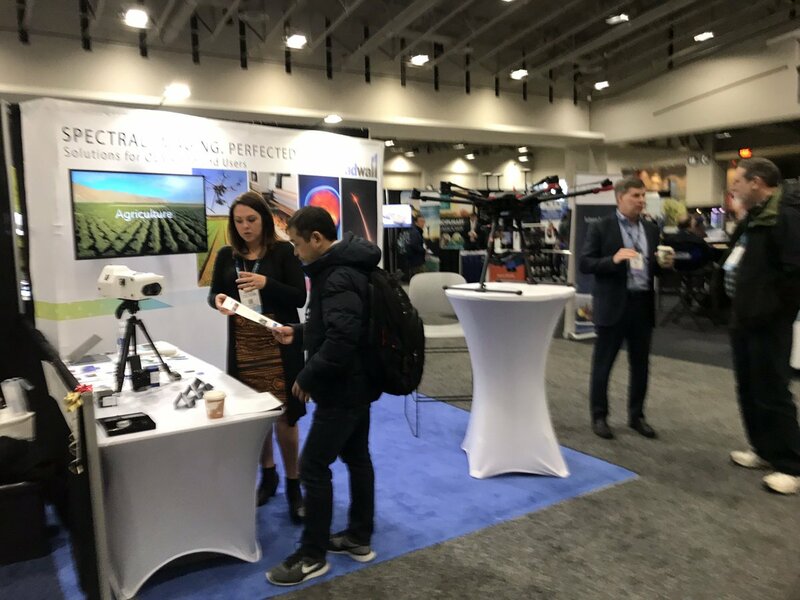 Come to Headwall's booth 959 to see how our hyperspectral imaging solutions are used from ground-level, to air, and in space. We have off-the-shelf and customized systems to let you see what you need to see from the UV to SWIR wavelength ranges. Let's schedule a meeting.